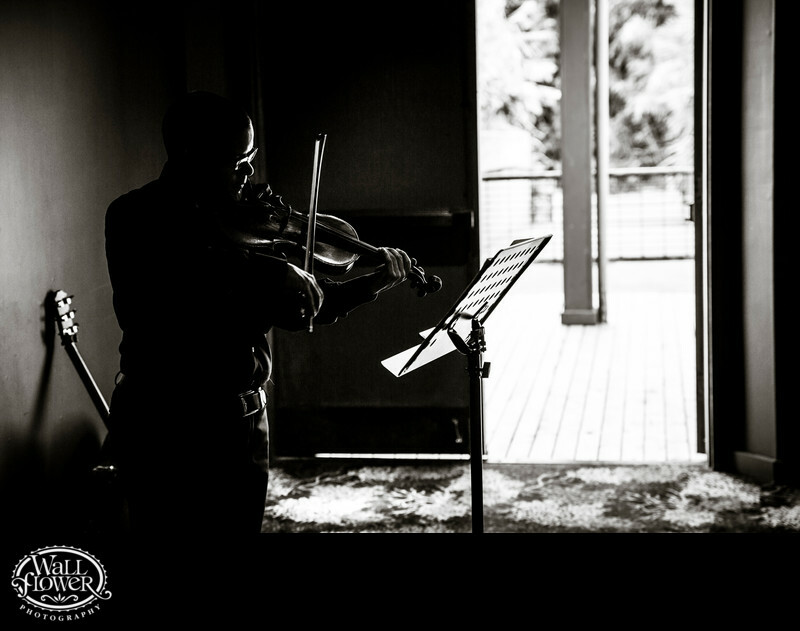 This man played several pieces on his violin as wedding guests were seated and the processional began for a wedding in front of the shark tank at the Point Defiance Zoo and Aquarium (PDZA) in Tacoma, Washington. The room is very dark, but he has beautiful rim lighting along his face and violin that provides definition. The black and white effect makes it even more graphical. This photo won an award in a wedding photography competition held by the Artistic Guild of the Wedding Photojournalist Association (AG|WPJA).